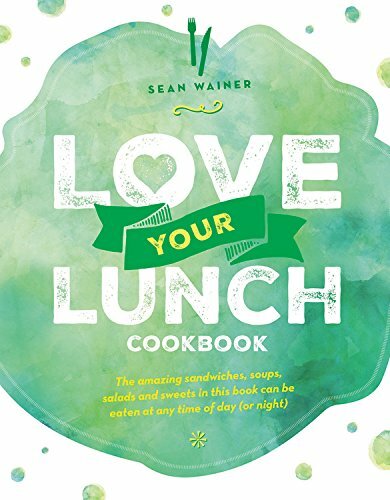 [PDF] Love Your Lunch: The Small World Recipe Book | Free eBooks Download - EBOOKEE! Posted on 2018-01-20, by luongquocchinh. Description: For many people a homemade lunch usually means a cheese or ham sandwich or a simple salad. But here are 60 recipes, including many vegetarian options, that will change all that and show you how to fill your lunchbox with delicious, elegant, home-cooked comfort. Dishes such as Spanish tortilla, Thai fishcakes, Mediterranean couscous, Mexican burritos, French lemon tart and Small World's famous carrot cake. Author Sean Wainer owns Small World, a popular lunch cafe and something of an institution in Amsterdam, which has featured in numerous magazines and travel guides. Sean's book includes all of the Small World menu favourites - salads, soups and dishes you can serve as a more elaborate Sunday lunch or even dinner. The recipes have all been tried and tested - they work and they're delicious. It's never been so easy to liven up your lunchbox. 2018-01-01[PDF] Who's Been Sleeping in Your Head: The Secret World of Sexual Fantasies. No comments for "[PDF] Love Your Lunch: The Small World Recipe Book".